Conversational Italian for Travelers series of books! One of the first things Caterina must do after her plane lands in Italy is find her way on the Italian railway system. To listen to dialogues from Chapters 4 and 5 about Caterina’s encounters as she buys a ticket and boards a train in Italy, go to the interactive dialogues on our website at learntravelitalian.com/interactive.html. For more images and links to the high-speed Italian train system, visit our Pinterest Site, Stella Lucente Italian. The Cultural Note below, also from the textbook, describes the exciting new high-speed Italian trains of the Freccia and Italo railway systems that have streamlined travel between the major cities in Italy. The future of train travel is here in Italy today, under the old Trenitalia Ferrovie dello Stato railway system, to which has been added a new network traveled by a fleet of beautiful, high-speed Italian trains—the Freccia (arrow) trains. The high-speed Italian trains for the railway line Frecciarossa (red arrow) link the major cities of Naples, Rome, Florence, Milan, Turin, and Venice and travel up to 175 miles per hour across the country. It is now possible to travel from Milan or Venice to Rome on these high-speed Italian trains in about 3 hours. This Italian network is linked to major European cities outside of Italy as well and can be an efficient way to extend travel plans to neighboring countries, with restaurant cars and sleeper cars available for longer journeys. These cars are also equipped with WiFi for a small fee. The Frecciargento (silver arrow) and Frecciabianca (white arrow) trains are part of this new family of high-speed Italian trains and link smaller cities and towns. For a slightly higher fee, they provide a more comfortable ride than the older local trains and make fewer stops. Ask about the availability of these high-speed Italian trains when purchasing a ticket at the station. Or go to the official Trenitalia site, www.trenitalia.com, and click on one of the three silver tabs in the upper right-hand corner of the homepage for the high-speed Italian Freccia train of your choice. Italo is a privately owned company that also offers high-speed Italian passenger train service. Italo offers a club membership for frequent travelers, with private waiting rooms at the train stations and special cars with reclining leather seats, personal TVs, WiFi, and meal service. 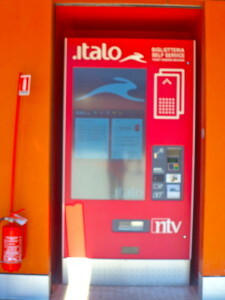 Look for the bright red automatic ticket machines, or purchase tickets at the Italo ticket offices in the train station. For more information on the Italo family of high-speed Italian trains or to purchase tickets online, use the Italo website at www.italotreno.it. Read all about this new high-speed Italian train network and learn about traveling throughout Italy on the different classes of trains offered by Trenitalia and Italo on the website The man in Seat 61 at www.seat61.com. Click on the link for Italy and search for “A beginner’s guide to train travel in Italy” to see pictures of each type of train and learn more about the accommodations that are offered. All of the high-speed Italian trains require a reservation (prenotazione), and the ticket issued will have an assigned car (carrozza) and seat (posto) for each passenger. Look for the car number on the side of the train, or ask the conductor, who will come out of the office to the platform when the train enters the station before departure for the next stop. Tickets for the high-speed Italian trains, as well as local trains, can be purchased online in most cases, starting 60 days before departure, and in some cases, up to 90 days. These online tickets may be discounted up to 60% off the price paid at the train station, depending on how far in advance they are purchased. Beware, though—the timetables change in mid-June and mid-December each year, so be sure to check them again before departing if you have bought tickets in advance. An alternative site, all in English, is www.raileurope.com. And remember, along with your ticket, you will need a valid personal ID to travel between European cities. Or, if you choose ticketless travel (within Italy only), you will need the registration number. Have fun visiting the Trenitalia and Italo websites! Adapted from Conversational Italian for Travelers, Chapter 4, “Cultural Note,” © 2012, Stella Lucente, LLC, by Kathryn Occhipinti. 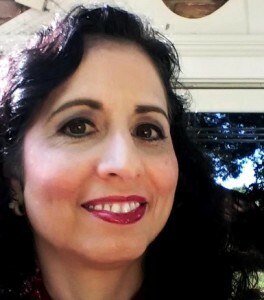 Visit learntravelitalian.com/download.html to purchase/download Conversational Italian for Travelers and find more interesting facts and helpful hints about getting around Italy! Learn how to buy train tickets online, how to make international and local telephone calls, and how to decipher Italian coffee names and restaurant menus, all while gaining the basic understanding of Italian that you will need to know to communicate easily and effectively while in Italy. —From the staff at Stella Lucente, LLC.